The Lezyne CNC Floor Drive Pump has been updated with Lezyne's new and improved ABS1 Pro flip-thread chuck for superior durability and reliable inflation. 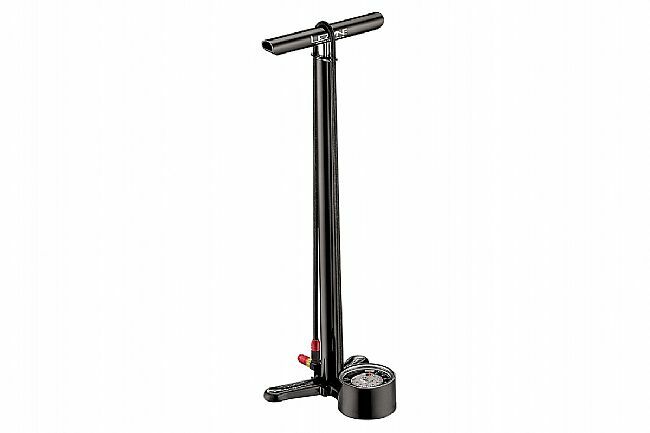 Featuring a fully CNC-machined aluminum body, the CNC Floor Drive is a professional-grade floor pump designed for serious work. 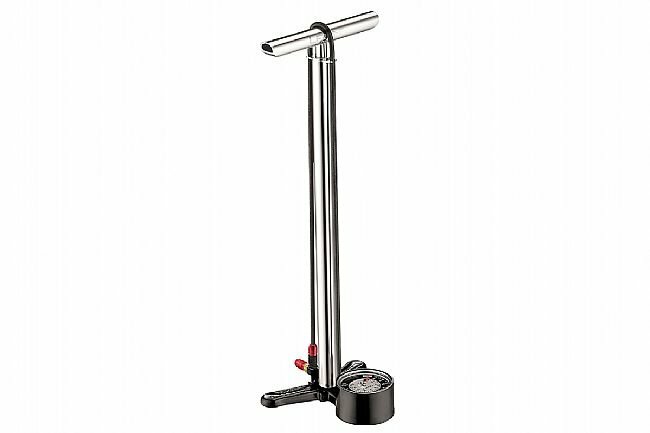 The Lezyne CNC Floor Drive Pump features a oversized 3.5" precision pressure gauge for easy-to-read inflation. A extra-long nylon-reinforced braided hose makes inflating tires easy whether the bike is leaned up against the garage wall or in a bike stand. ABS1 Pro flip-thread chuck is compatible with Presta or Schrader at the flip of a switch, easily forming a secure connection for rapid inflation. Claimed weight: 3.2 lbs. Maximum pressure: 320 PSI.